Reliance Jio Prime membership enrollment allowing existing users to retain the 'Happy New Year Offer' until March 31, 2018 ends today. The Jio Prime membership priced at Rs 99 was announced in February as a special offer for existing subscribers and those joining the service on or before March 31, 2017. Under Prime membership, Jio users will have to recharge with Rs 303 every month to get free data (with FUP of 1GB per day) and voice calls. With Rs 303 recharge, the non-Jio Prime subsribers will only get 2.5GB data per month while calling will remain free. 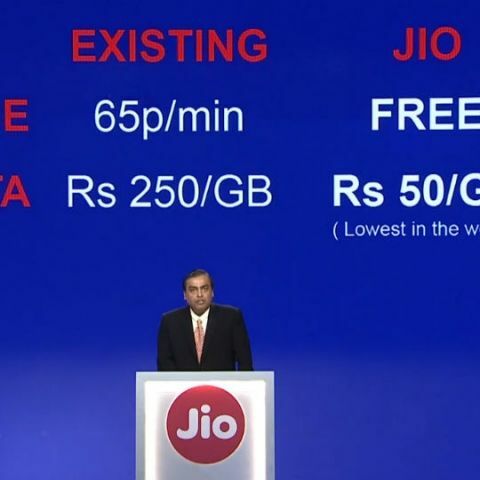 The company has also announced a new Rs 499 plan offering 2GB data per day for Jio Prime subscribers and 5GB data for non-Jio Prime users. All Jio recharge plans come with a validity of 28 days. Reliance Jio claims it has over 100 million subscribers and is currently growing faster than social media giant Facebook. A company executive revealed yesterday that the network has managed to convert 50 million of its 100 million subscribers to Jio Prime as of yesterday, but reports suggest the response has been lukewarm so far. A recent report suggested that only 16 million out of 120 million have subscribed to Reliance Jio’s Prime Membership plan. There is no doubt that Jio has disrupted the sluggish Indian telecom sector with its free data offers. The company has forced leading telecom players like Airtel, Vodafone and Idea to offer cheaper data plans in order to retain their existing subscribers. Reliance Jio has had a dream run in the telecom space but with free services ending today, it will be interesting to how many users stick to its service or pay in order to continue using the service. Would you recommend Digit subscription ?